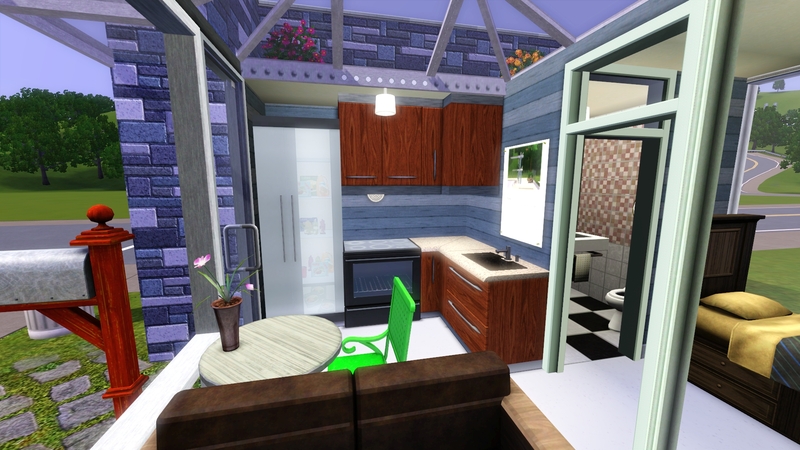 I recently started playing Sims 3 again, and decided I wanted to dust off the old building abilities and challenge myself by making homes with limited space, similar to the 'Tiny House' homes that seem to be becoming more and more available in the real world each day. This particular house is based on a 5x5 internal space and on a 10x10 lot. 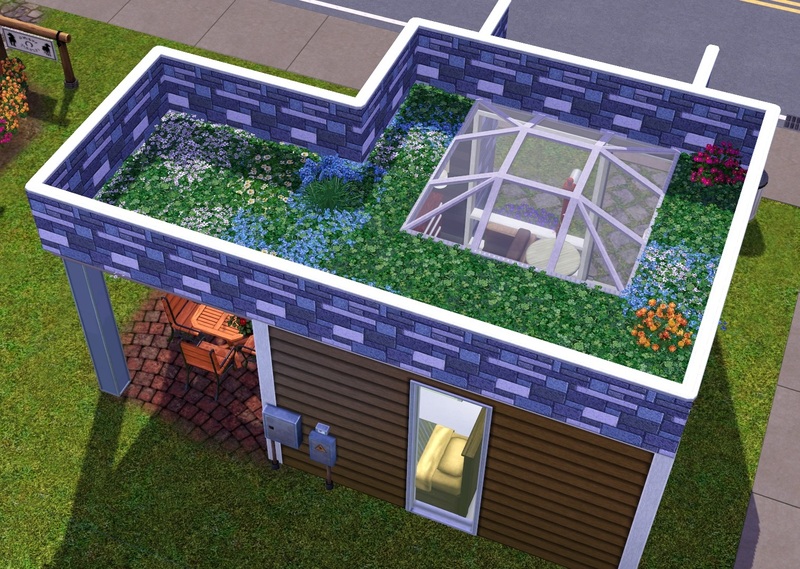 The goal in making these is to get everything a sim needs into the house while, of course, also making it look good. I made a few rough 7x7's before this to test, and I found I still had a lot of space left over, so I could certainly go smaller. 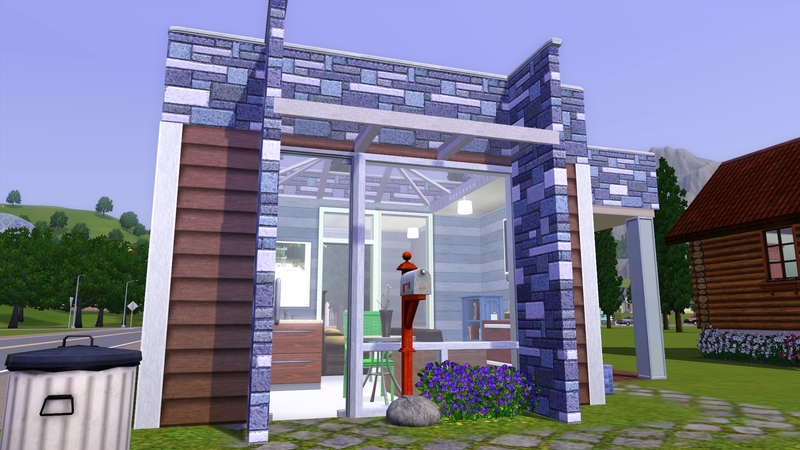 Before starting though, I did look for inspiration and found This Youtube video from The Sim Supply of a similar build of a 5x5 home build in the Sims 4. 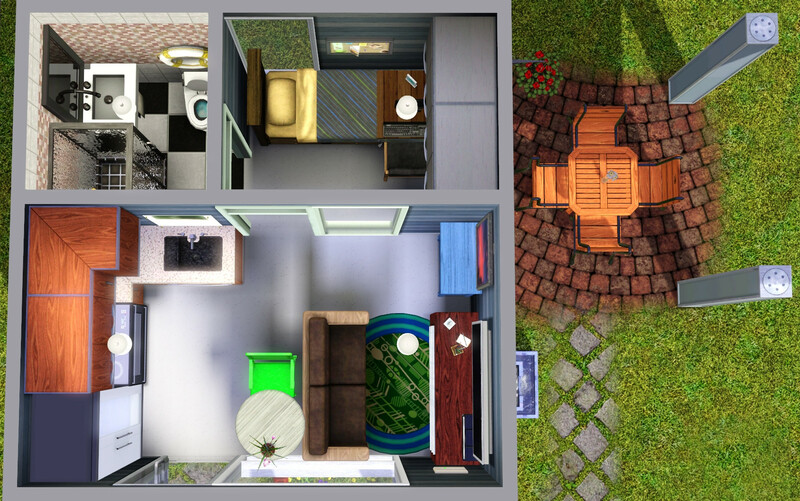 So to get started, I used that particular house as a template for this build done in the Sims 3. With any luck, this will be the first in "The Tiny House Project" series, the next few entries of which are already in various levels of completion. But enough with the pleasantries, onto the description. With somewhat of an Ultra-modern design, this tiny house, named "Gamma" after the third letter of the Greek alphabet, contains a full kitchen, one bedroom and one bathroom. 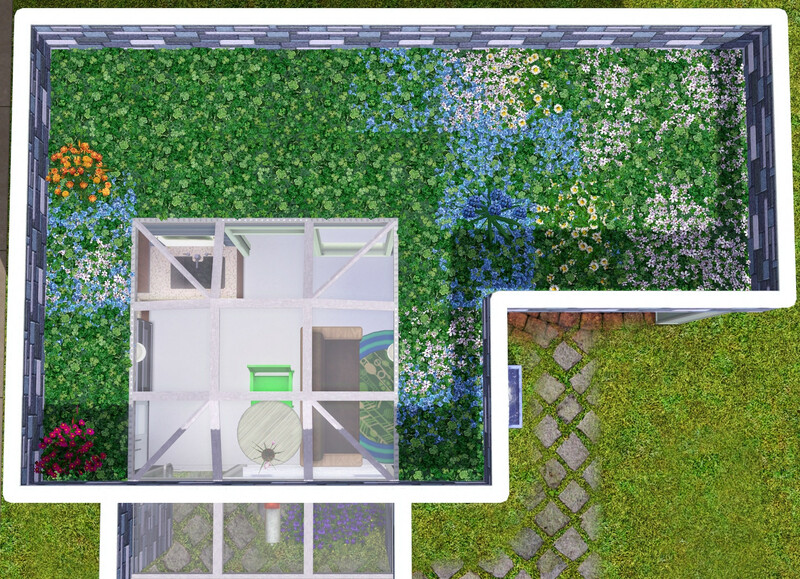 All objects are completely functional and are built for a max permanent capacity of one Sim, though a few guests can be had over without the living areas feeling too cramped. The main room is the combination kitchen, living, and dining room. The kitchen comes with a stove, oven, refrigerator and usable counter space, allowing for nearly any meal to be made, a sink for cleaning, and plenty of storage space. 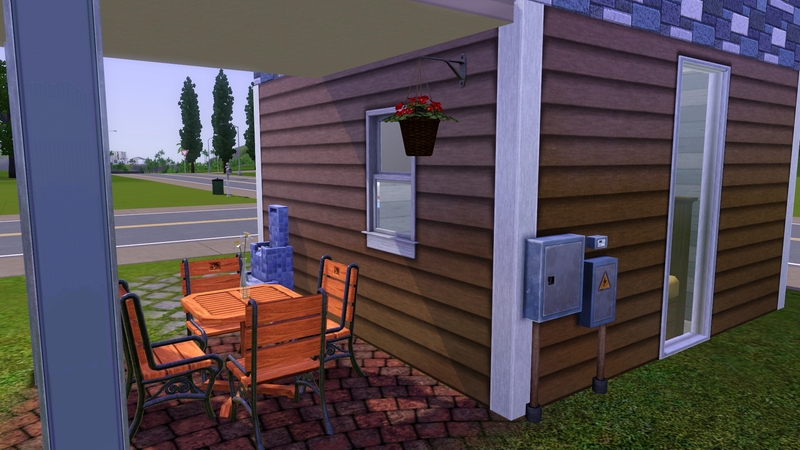 The dining table does only seat one, as the Sims 3's mechanics made it impossible to fit another working chair in, but it does provide a unique and refreshing splash of color to the room. 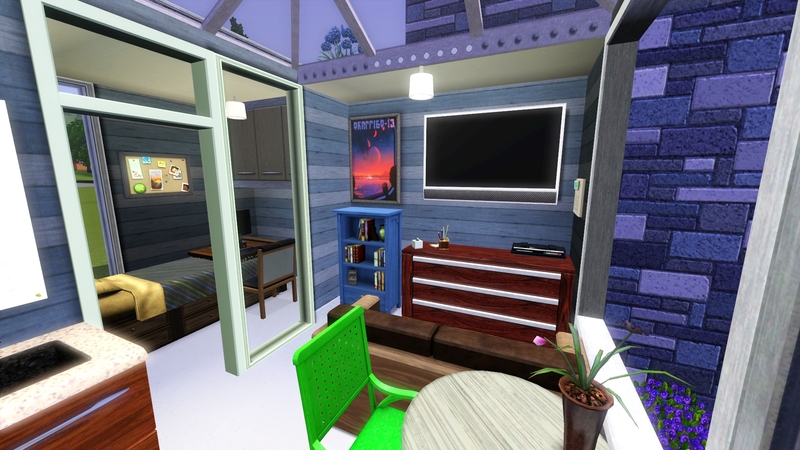 In the living room area, we have our bookcase, television, and game station for entertainment, as well as the Sim's dresser for changing and storing outfits. It also allows for a nice view out the window for wherever you decide to place your tiny home, as well as a calm sleeping nook. 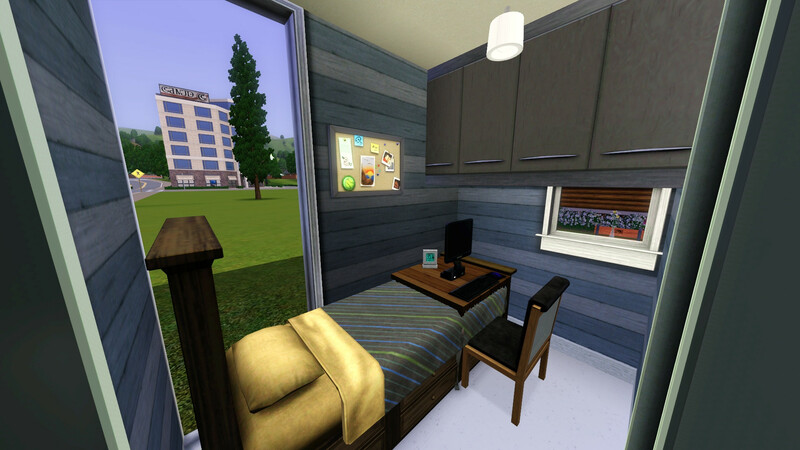 In the bedroom, a clever work around was used in order for Sims to have a computer to use. 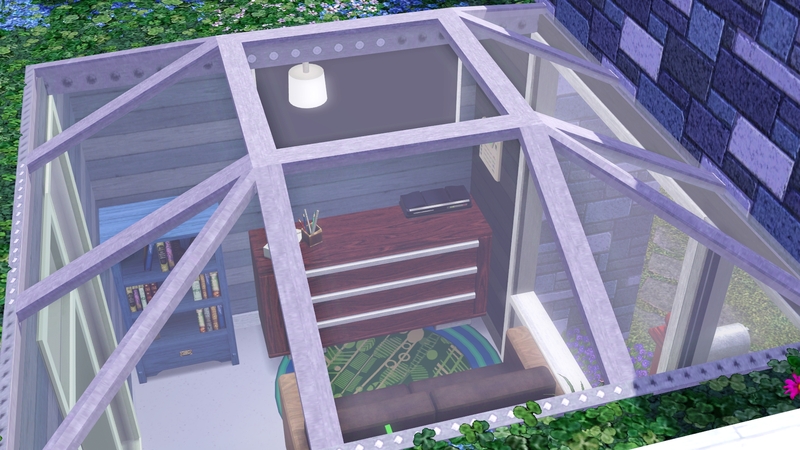 Using moveobjects, we were able to create an over-the-bed desk (something I've seen is actual tiny homes) to save on space. The computer, the chair, and the bed are fully functional, though sometimes the sheets may end up on top of the desk when a Sim is sleeping, depending on their position. The restroom, while small, is not too cramped and has a warm atmosphere for all your hygiene and bladder needs. The tiny house costs $28,652 fully furnished and sits on a flat 10x10 lot, so you should have little trouble fitting it wherever you like in your neighborhood! 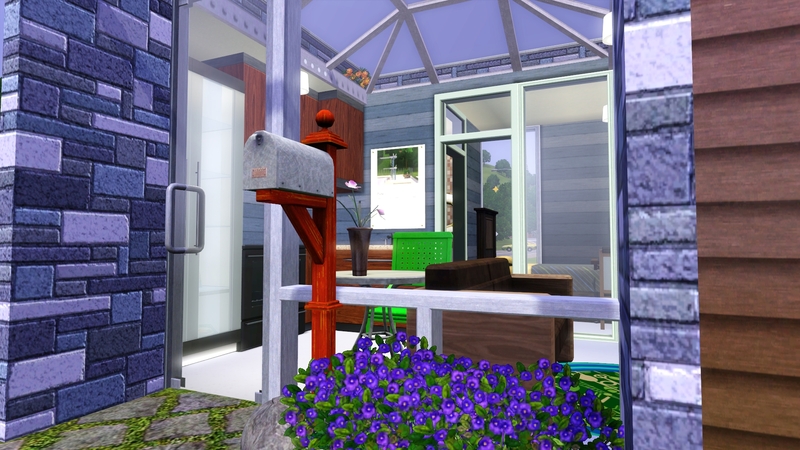 The Pets Expansion Pack is needed for two objects: The Sassy Classy Dining Chair in the living room, and The Gnome'ink Dining Table, which is used for the over-the-bed desk. So if you don't have Pets, you could still use this home, as long as you find replacements for these two items that suit your needs. 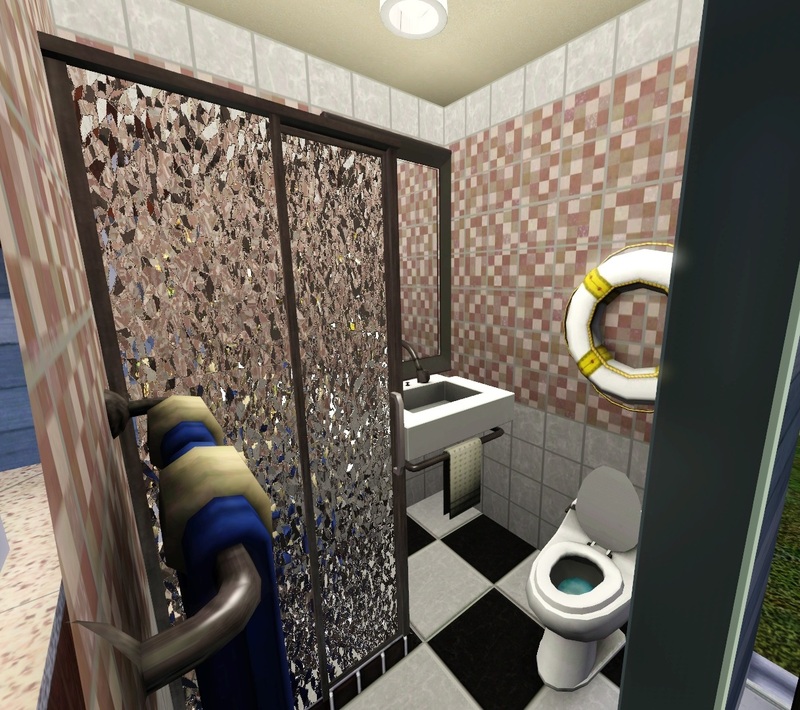 and most importantly, Morphead's High-End Condo Stuff Pack ( http://www.modthesims.info/d/442824 ), which is amazing and incredibility useful. 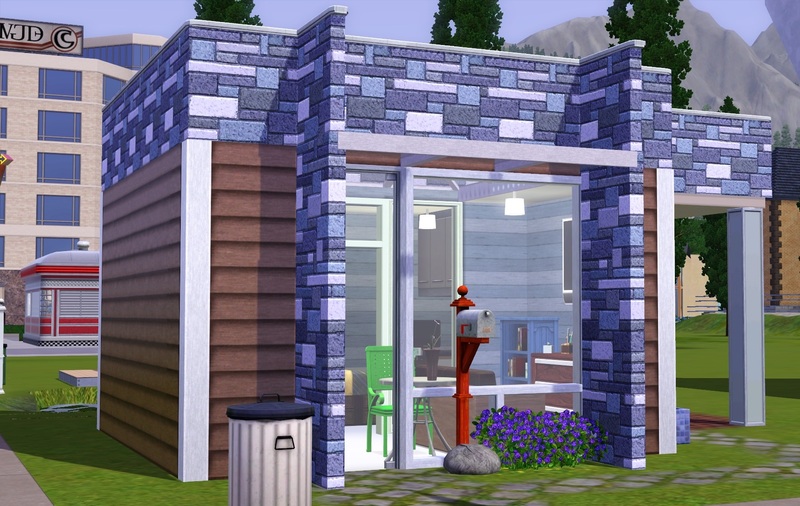 I also recommend downloading the Half walls Fixed mod by simsi45 ( http://www.modthesims.info/download.php?t=597434 ), which I what I used while building and in the screenshots.